With United Leaders and Associates gaining national recognition as one of the largest final expense agencies in the nation, there has been quite a bit of news generated. 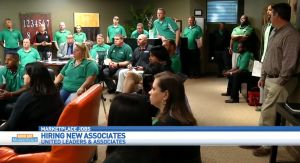 Watch some of the news releases below to hear more about this final expense agency and what it has to offer. A Career That Offers Reward. AT ULA we take great pride in our family atmosphere and look for every opportunity to reward our team for their hard work and effort. If you are tired of working in a career that rarely acknowledges your efforts, come be a part of the ULA family. We are always hiring hard-working, energetic, committed individuals. No experience is necessary. Your reward is waiting now! Be Appreciated in Your Career. 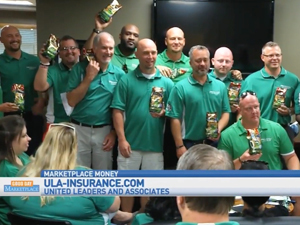 The ULA team acts more like a family than a corporate team. With that, ULA makes sure that each member feels appreciated and is rewarded for their hard work. May 2017 was a record-breaking month. To celebrate, this team had a celebratory lunch and learn. If you’d like to join and be appreciated too, these are the traits they are looking for: coachable, personable, goal oriented, and hard working. We have a contagious culture that produces success. Our family culture is one centered around enthusiasm, teamwork, and energy. This has created the momentum we need to become one of the top agencies in the country. We are currently accepting new agents from various experience levels, as long they are coachable and willing to work hard. 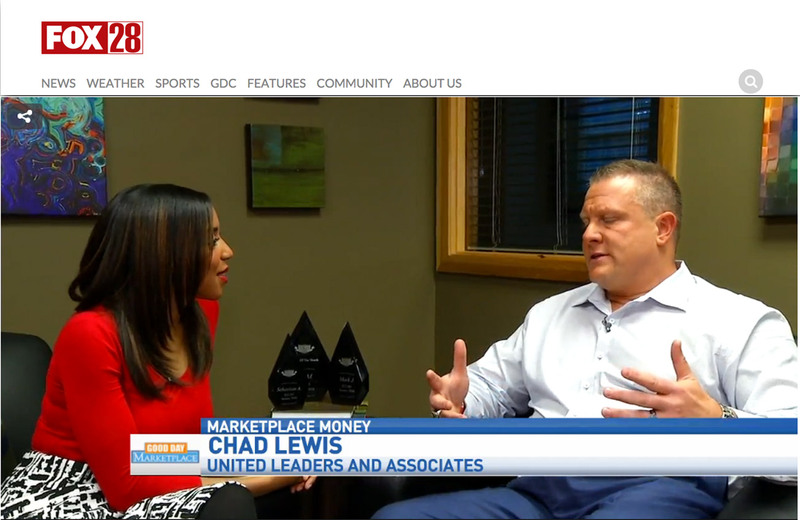 When Chad Lewis founded ULA, he was on the brink of homelessness. Now, his agency brings in over $500,000 a month. ULA accepts a broad range of backgrounds for agents who are willing to be coachable and work hard. Regardless of age and experiences, the ULA team enjoys endless earning potential, company sponsored trips, and the ability to impact others in a meaningful way. Are We A Good Career Fit For You? 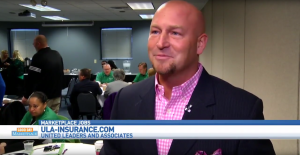 Are you ready to join one of the fastest growing insurance agencies in America? Before you get started with our family-like team, there are some things to consider first. To be a successful agent, you must be coachable, enjoy helping others, and be looking for something more out of life. And, while the six-figure salary isn’t everything, it is a great perk. First and foremost, our job is to take care of, inform, and help people. Our agents find the perfect Whole Life Insurance policy that meet each client’s budget, needs, and goals. So even when they’re gone, they can know that their final wishes and family’s needs are being met. 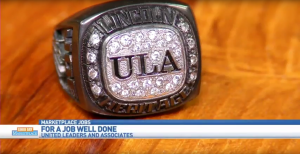 ULA Shows Their Appreciation with Income Rings! Founder and General Managing Agent, Chad Lewis, of ULA awarded 11 income rings to dedicated individuals, who earned more than $100,000 in 2016. However, these rings are more than a reward for income. They are the much-needed recognition and appreciation of their sacrifice and hard work. Congrats to all the agents that earned a ring! ULA Awards 11 Rings to Agents Who Made Over Six Figures in 2016! Recently, we awarded 11 rings to agents who have worked to earn an access of six-figures in 2016. Engraved on the side is “family.” This represents our team’s culture. If you are ready to earn six-figures, help people, and be coachable check out the ULA family. The ULA family shares their monthly breakfast with Good Day Marketplace. Their breakfast is a time to bond as team and brainstorm for the coming month. Their goal is to make it as comfortable, personable, and customizable for their clients. They’re also looking to grow! Check out the ULA team and see if it’s a good fit for you. 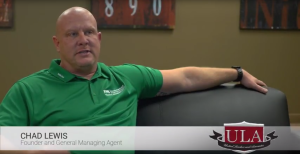 Founder and General Managing Agent, Chad Lewis, understands the importance of building a family culture. 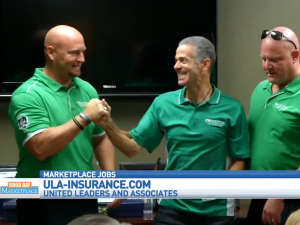 The ULA Team supports and cares about all their agents on their path of success. Meet a ULA member Andy. He relates his story of what it means to really work for the ULA family. He says the best part of his job is getting to be there and help people during their time of need. It is not a quick pushy sell, but rather cultivating a long-term relationship. The ULA team has found a career that extends past just a job. ULA has created an atmosphere that’s more of a family that enjoys to be together. 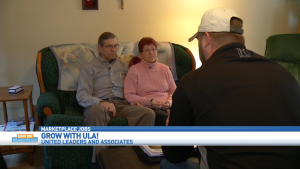 This week’s news segment shows that the ULA family works to build a strong team in a fun way. ULA’s latest team bonding event was a creative way to get everyone to bounce ideas off each other and have open communication. 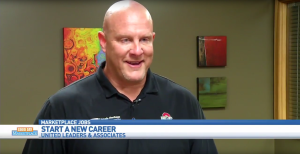 The ULA team has found a career that’s more than just a job. It’s a second chance. Before this opportunity, ULA founder, Chad, was at a point in his life where his electric was shut off, his car was repo’d, and no hot water. Now, the sky is the limit, he’s helping others live out their dreams, and his family has expanded with every new ULA agent. If you’re coachable, positive, and ready to grow—ULA could be the perfect opportunity for you. Meet Rosie and hear about her experience as a top producing female agent in the final expense industry with United Leaders and Associates. From her experience, “The sky is the limit…it is a great place to see how you can grow”. ULA is an equal opportunity employer welcoming both men and women in their family driven culture. 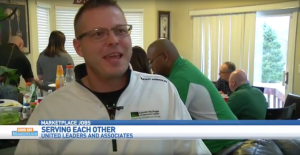 Final expense insurance agency, United Leaders and Associates, goes above and beyond in everything they do. From being the 5th team to make over the $500K a month mark in 17 years, to 16 people going on an all expense paid vacation to Kona, Hawaii, and finally a $2000 cash prize for the top agent in August, ULA’s culture is hard to beat. Find out how you can join the team today! United Leaders and Associates is a final expense agency with Lincoln Heritage Life Insurance Company. Hear first hand from agents on the team about their experience with the agency, residual income and its benefits, and how they highly recommend this career to anyone searching for something new! From weekly team training and conference calls, to 4th of July get togethers and First Friday’s, the family culture at this final expense agency is top notch. Don’t miss agent Keith Jackowski and his view on residual income and how it has helped him grow. 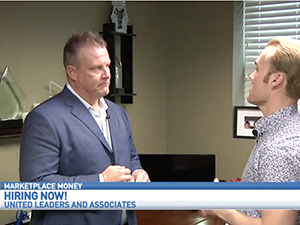 Listen to Chad and Keith talk about the United Leaders and Associates culture and the extensive training that they offer to their agents to ensure success. Learn more about the power of residual income and how to build wealth, the product that we sell (Lincoln Heritage Life Insurance), and how to join our team. 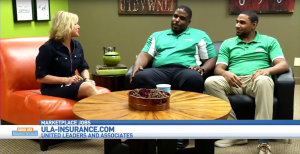 Hear first hand from our agents and their experiences with how Lincoln Heritage Life Insurance Company® helped them in their time of need. 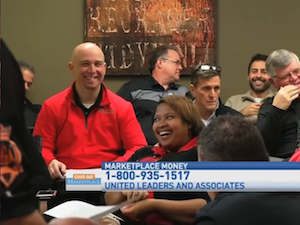 Listen to our agents Mark Johnston, Remko Bloemhard, Sebastian Alvarez, and Tez McCree tell you about and their time with the United Leaders and Associates team. Our world-class training, family environment, and unlimited growth potential are all things that come with being part of the team. 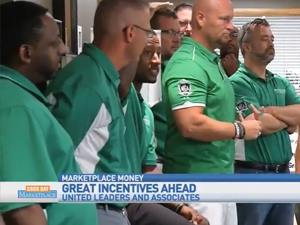 United Leaders & Associates is looking for agents who want a career and exemplify the following: disciplined, self-motivated, ambitious, loyal, and teachable.Our team is comprised of people commited to being a leader in the field. 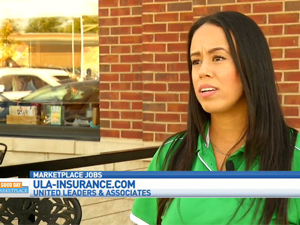 Looking for an opportunity in the insurance industry? 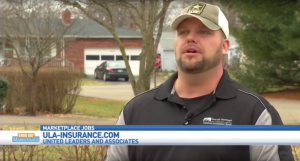 Listen to Chad Lewis and Keith Jackowski talk about the benefits of joining their team. 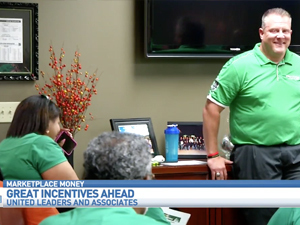 United Leaders and Associates, a leading agency in final expense insurance, invites you to learn about an opportunity that offers unlimited income potential. 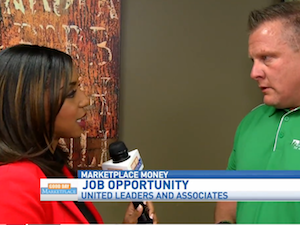 Join Shawn Ireland and Alissa Henry on Good Day Marketplace to hear about an opportunity for those looking for a challenging and rewarding career.